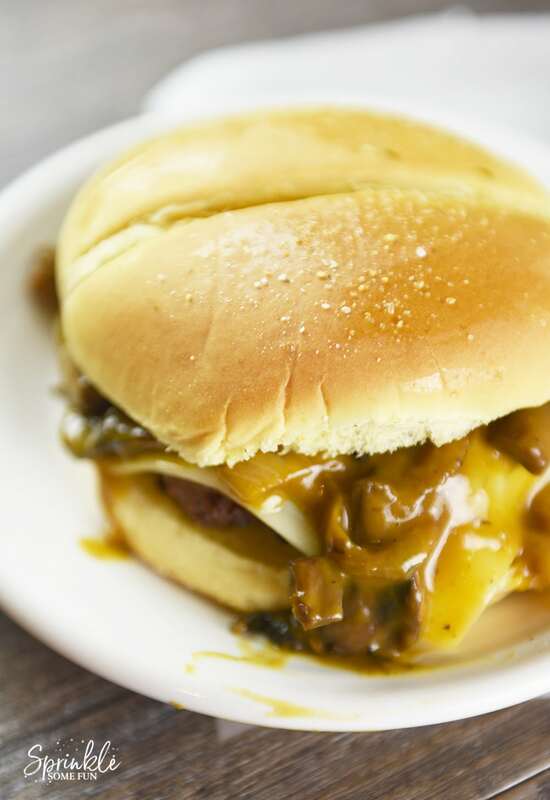 Mushroom and Swiss burgers have always been one of my favorite treats. Many burger joints have them, but I really hadn’t tried making them on my own before. The new trend is to stuff your burger with cheese and so I’ve been thinking about trying out a recipe like this. 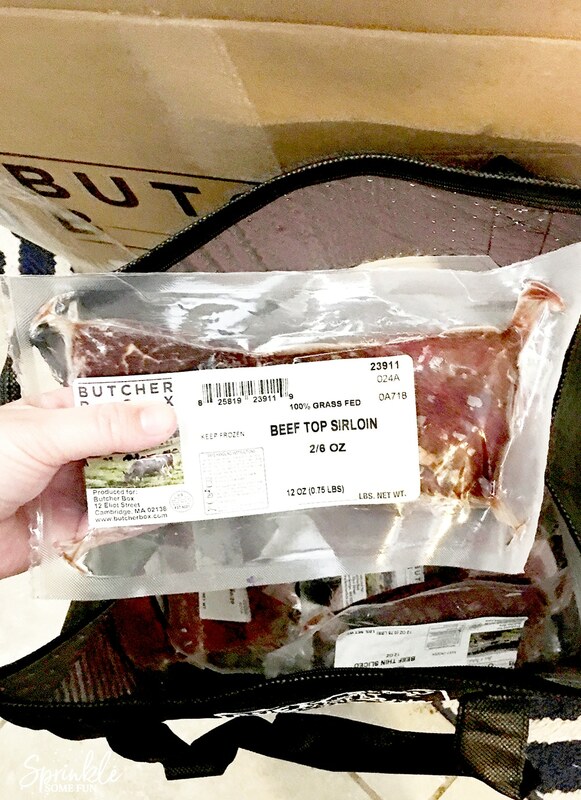 ButcherBox contacted me a few weeks ago to try out their meat delivery service. When you sign up with my link you can get $10 off and FREE Bacon! Woo hoo! When I got my box the other day I was inspired to create this recipe for Caramelized Onion, Mushroom & Swiss Stuffed Burger! 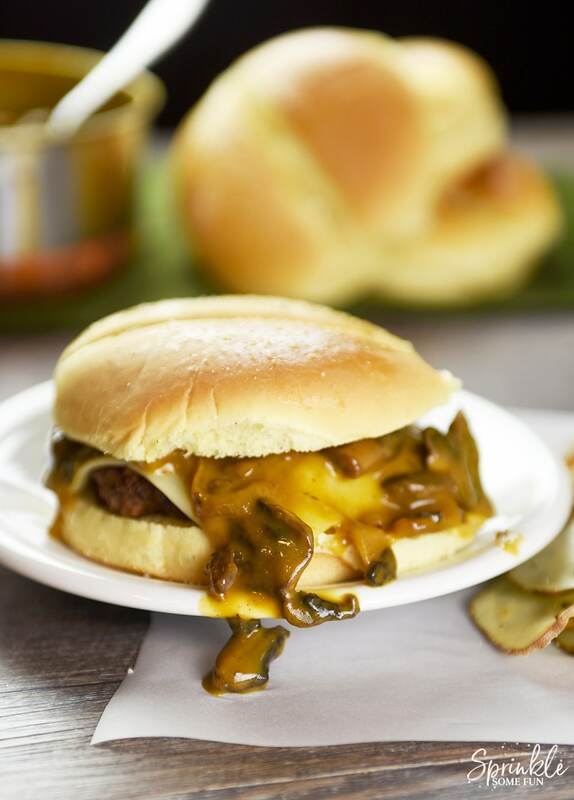 Swiss Stuffed Burgers with Caramelized Onions and Mushrooms are a favorite combo that’s taken to the next level. This recipe is one that you will want to share with everyone you know! It’s amazing! So let’s talk more about The Butcher Box. This is actually the very first subscription box for food I have tried. I was a little skeptical about how much meat might come with the box, especially since we feed 7 people in this household. I was really happy with the amount that we got and the variety of meats. The cuts were great quality and I really felt it was a good price for what you get. Plus, one of the best parts is that meat from ButcherBox is 100% Grass-fed Beef, Organic/Pastured Chicken, and Heritage Breed Pork. 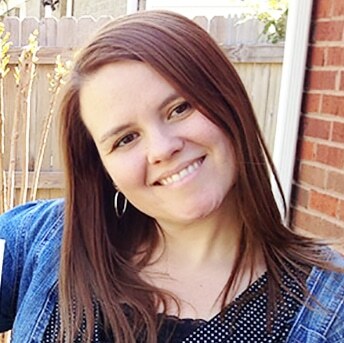 I was happy that there is a service that provides all of the good stuff right to your door! We have not yet tried all the meats yet, but everything we have tried has been great! Seems a little silly showing you all the ground beef out of all the cuts of meat, but I was so impressed with how well these Swiss Stuffed Burgers cooked up! Plus, this recipe is awesome. 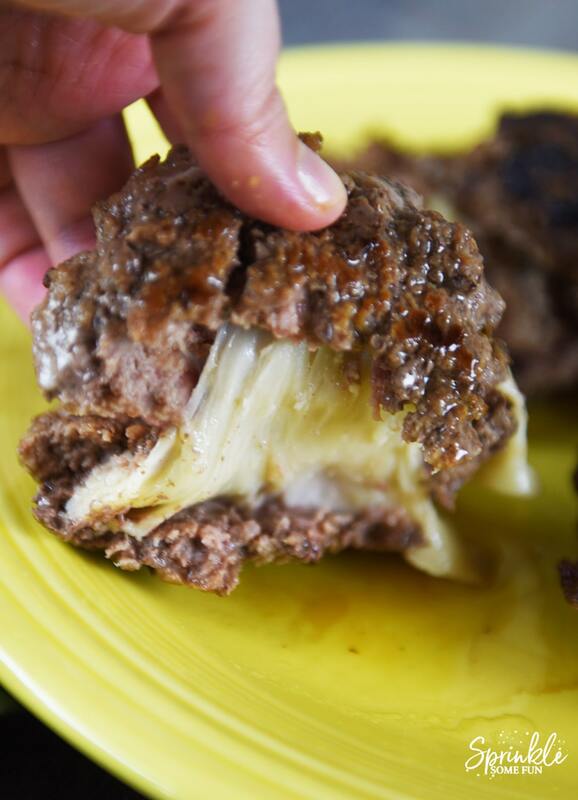 Swiss Stuffed Burgers are really as great as they sound! 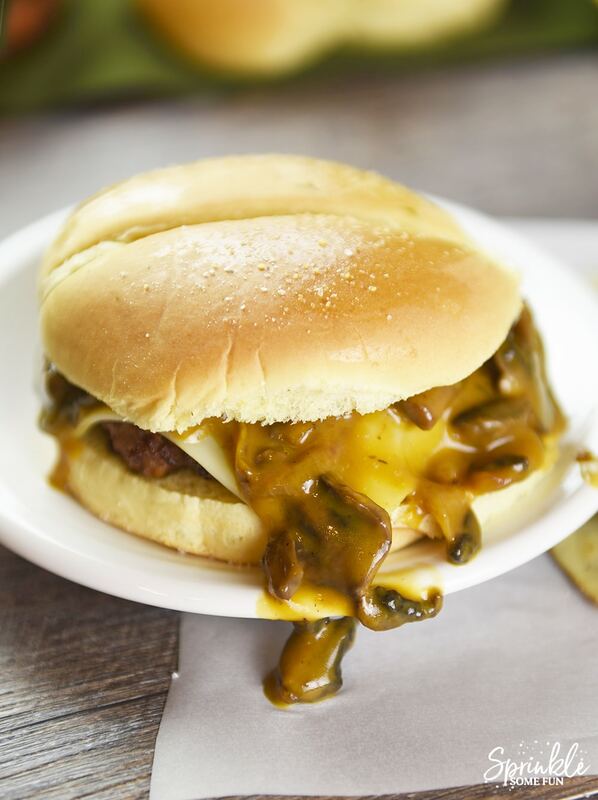 Just look at that sauce with the mushrooms and onions… then the surprise ooey gooey cheese inside! Yum! First step is to caramelize the onions. This takes a little time, but it's well worth it. Spray a large skillet with cooking spray and place all onions in the skillet. Turn heat to low/ medium setting. Just hot enough to brown the onions a little, but do not let them get blackened. You can add a little salt as you stir, but just a pinch. Add tbsp. of water if they start to get too dry. Keep stirring the onions every 10 minutes until they are golden brown and sweet tasting. Add the mushrooms to the onions and cook until the mushrooms are cooked through and about half the size they were. Add the Golden Mushroom Soup at this point and let the mixture simmer while you prepare the burgers. To prepare the burgers you will first separate the meat into 4 parts. Then split the parts in half. Use one half to form the bottom part of the patty. Then on top of the bottom half... lay a slice of Swiss cheese that has been cut a little to strips so that you can add it to just the middle. 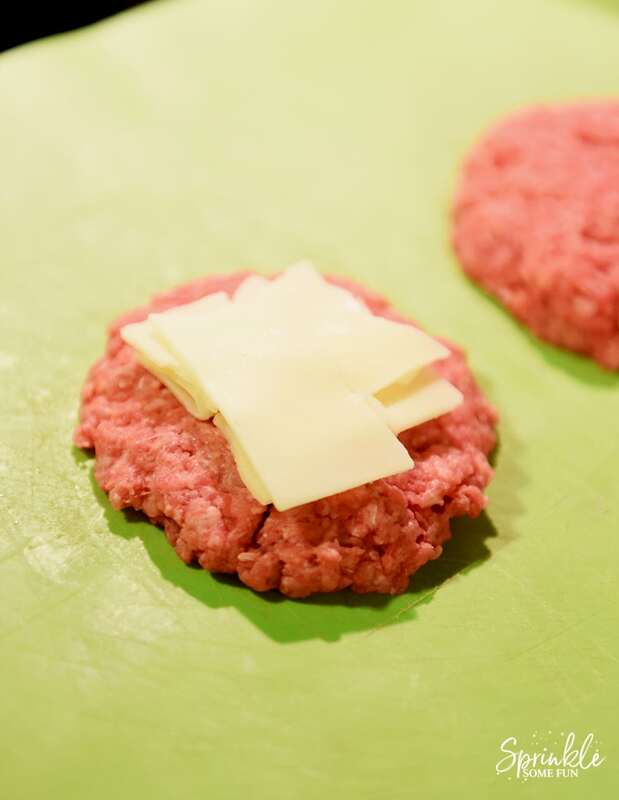 Then lay the other half of the beef on top of that and form the patty with the Swiss cheese inside. Form all patties this way. Cook on medium high heat until the inside temp reaches the safe point for ground beef. You can also toast the buns and use melted butter and garlic on top... optional but very tasty! Once the meat is finished cooking then layer on the meat and then the onion and mushroom sauce to the top. I let the sauce drip off the sides because it's so good! Then it's ready to enjoy! 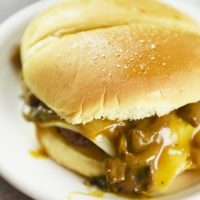 I know the caramelized onions take a little time to make, but this burger is worth every minute of cooking time! I promise! Enjoy this burger and be sure to check out Butcher Box. If you use my link you will get $10 off and FREE Bacon!! !